This is an old Bow Street era Jameson that was bottled at 12 years old and made for the Italian market. 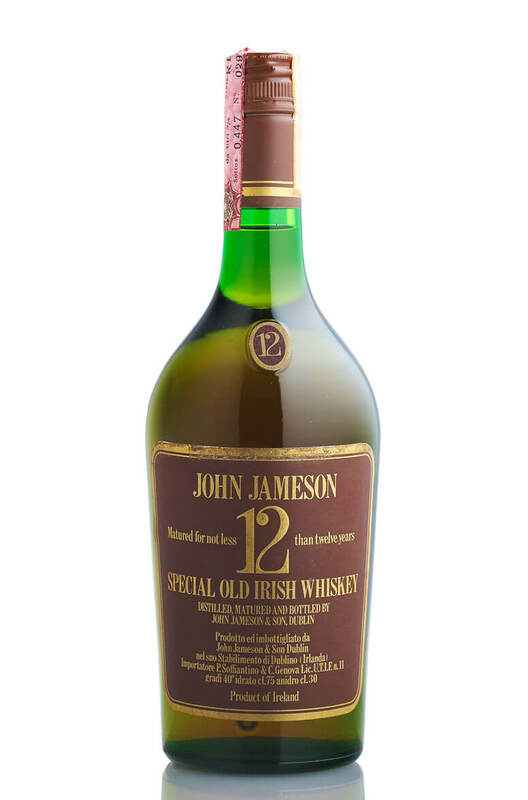 The dusty, oily character is typical of Jameson whiskey from this era, with a good dollop of wood too. It still has the import sticker over the capsule and much of the front label is in Italian. The condition is good for the age with a little wear and tear to the label and a good fill level. Distillery Old Jameson, Bow St, Dublin.